The Whitehall boys tennis squad played to a 4-4 tie with Ludington on Thursday in non-league action. Mona Shores grabbed a 6-2 victory over Reeths-Puffer in O-K Black tennis action on Wednesday. The Whitehall tennis team had an easy time against Reeths-Puffer on Tuesday, posting a 7-1 victory. North Muskegon’s dominant doubles lineup had a clean sweep on Wednesday, leading the Norse to a 5-3 victory over Fremont in varsity tennis. The Whitehall tennis team came up on the short end of a 5-3 score against Traverse City St. Francis on Saturday. The North Muskegon tennis team downed Grant 5-3 on Saturday. The North Muskegon boys tennis squad defeated Western Michigan Christian 6-2 on Thursday night. The Reeths-Puffer boys tennis squad swept past Fruitport 8-0 on Wednesday in an O-K Black Conference match. The Whitehall boys tennis squad defeated Fremont 7-1 on Wednesday in a non-league match. The Mona Shores boys tennis team cruised to an 8-0 victory over Grand Rapids Union on Wednesday in an O-K Black Conference match. The North Muskegon boys’ tennis team cruised past Cedar Springs 6-2 in non-conference action on Tuesday. The Whitehall tennis team rolled past Cedar Springs 6-2 on Tuesday. The Mona Shores boys tennis team earned an 8-0 win over host Fruitport Monday. The Whitehall tennis team defeated Western Michigan Christian 7-1 on Wednesday. The Spring Lake boys tennis team earned a Lakes 8 Conference sweep over Fruitport Monday. Mona Shores boys tennis team had a great day at the Zeeland West duals, winning all three of their matches on Thursday. 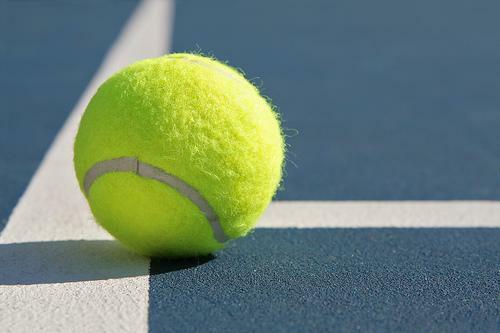 The Mona Shores boys tennis squad split its matches on Tuesday, defeating North Muskegon 8-0 and falling short against Grandville by a 7-1 margin. The Fruitport boys tennis squad suffered a loss on Thursday against Fremont 7-1 in a tri-match.